The Fermonster is a brand new fermenter designed specifically for fermentation. MoreBeer! gave product feedback for over 2 years of development and we think they nailed the design. 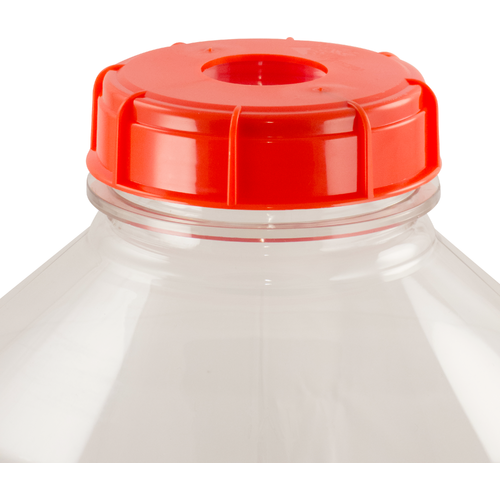 The large lid allows for easy filling and makes hop or oak additions a breeze. The smooth sides are fantastic for sanitization - no ribs or texture to collect yeast or bacteria. The punted bottom allows sediment to collect to the sides so that you can siphon liquid from the center. 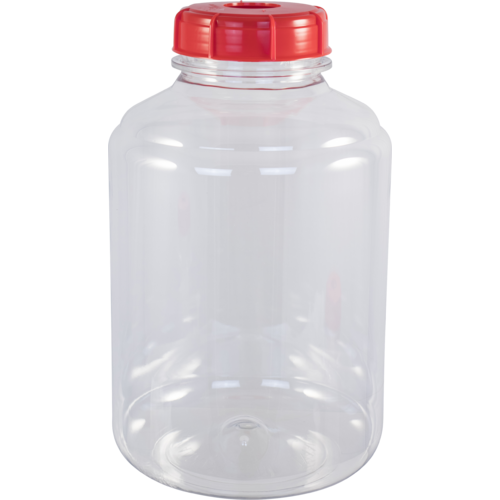 Because they are made from virgin PET plastic they nearly unbreakable and a lot safer than similar glass carboys. Also notice the conical top which reduces surface area if you plan to store beer or wine long term. Made from heavy PET plastic, the same material used in 2 L soda bottles, which is nearly impermeable to oxygen penetration. Due to the thickness of the material and the overall geometry the Fermonster does not require ribs or dimples for stability. That results in a super smooth interior surface that reduces yeast and sediment buildup making it the easiest to clean, most sanitary PET carboy on the market. The huge 4" opening makes filling a breeze, and cleanup is as easy as wiping down the inside. Please note: the pictured #10 Stopper (FE470VS) and three piece airlock (FE370) are not included. My son persuaded me to brew in smaller batches. To make a small batch. I donâ€™t want a 5 gallon since I donâ€™t have a lot of space and my 1 gallon just isnâ€™t enough. Wanted something small enough to use with Zymatic batches and the BrewJacket temperature controller. This should fill the bill. I want to do small batches of sour beer. Perfect size for starting out. right size. Big opening. Good price. Ease of cleaning and a great price!! Wide mouth and fits in my fermentation chamber. Any plans to offer this size with a spigot? BEST ANSWER: We are always looking for new solutions and products. No confirmation if this will be manufactured with a spigot, but it's not out of the question. You could attempt drilling the plastic yourself. They are available now! Yay! On the larger versions, the line near the top where the sides begin to slope indicates there is one gallon of space left. Is that true for the 3-gallon version as well? Can the 3 gallon Fermonster be used to ferment a 2.5 gallon batch? BEST ANSWER: Hi Warren - Should be okay, ferm caps couldn't hurt either. Sure. The headspace risks spoilage if you do not invest in a small tank of inert gas (argon is best, CO2 is fine as well), but then again, you probably would get away with it for a commercial kit. One would assume you will START the primary fermentation elsewhere and then rack into this? If you do primary in here it will likely hit the top, which isn't a deal breaker, but you need ANOTHER one to rack it into then, so since you need another one you might as well start with a bucket for your primary then rack here for your secondary. Just my 2cents. BEST ANSWER: Hi Brian - Unfortunately we do not know of any future versions of the fermonster that will have thicker walls. Apologies. Are the side walls thick? I purchased a 1 gallon version and am disappointed on how thin the side walls are compared to my 6 gallon Fermonsters. BEST ANSWER: Hello Justin - The side walls of FE258 and not quite as thick this as those on FE250. Easy to clean. Light weight. I do not believe this lid went thru any kind of testing, prior to selling to home brew people. It is impossible to screw lid on and have it stay in place. if empty and turn upside down you may get lucky enough to keep gasket in place. try that with a gallon brew inside. in the upright position you can not screw lid on with out gasket falling out, it will not seal. a simple design change of lid to secure gasket in place would make these a good purchase. as they are now, not good. Liking all my fermonsters so far, and the 3 gal is a convenient size. Bought this so I can do small batches of fruit wine. The only thing I didn't like was how thin the walls are. 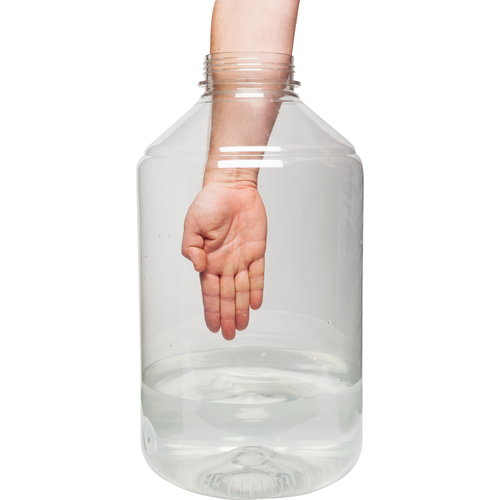 The material of the 3 gallon fermonster are thin, thin, thin. Did I mention very thin? I don't expect this to last after it's first somewhat hard bump. Pitched the yeast and never any bubbles in the airlock. But there was a thick Krause which indicates it was fermenting. Finished, bottled, and then put water in the fermonster and it leaked. Retightened several times and couldn’t get it to stop. Not leaking in the gasket but rather around the lid to airlock area. Called morebeer and they said make sure totally dry and try agin so I did to no avail. Called again asking if they had any other #10 stoppers other than the one they originally recommended. 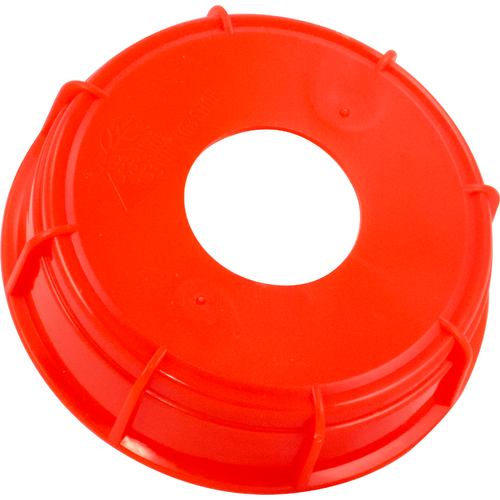 Morebeer recommended the universal stopper #10 with hole cost a little more 3.60. This was the answer and I am quite pleased since this is light, a good size for experimental batches, and love the wide mouth. Thank you morebeer. Great concept but compromised by making the walls so thin. Price is great, and I needed this size. Downsides are walls are a bit thin/weak, and o-ring in lid can be quite difficult to sit in groove properly. I’m 76 . I’ve been growing cold hearty grapes for wine since I was for 40 years . Blending varieties is a truly learning experience. Make3 gallons of wine from one variety not only teaches you the true characteristics of that grape ( Should one use it as a wine by itself or what would it add to a blend . ) . The small experimental vintner like I am does have the options of a professional business. They would think my 1 .5 acres of grapes a joke . I find this carboy a blessing. When you are my age lifting glass is tough. This is truly helpful . Wish my small finances aloud me to purchase more . One takes one year at a time . OK Fermenter, could be more robust. I love the 6 gallon versions. Good thick plastic. The 1 gallon version I have bought recently is very very thin. I was hoping the 3 gallons would be thick like their big brothers, but they are made of the same thin plastic as the one gallon versions. Disappointed. I can easily see putting creases in the side walls, if you have to crank down on the lid to get it unscrewed. The Fermonster is known for having "too good" of a seal if you crank down on the lid (not recommended). This is one reason why they also sell a wrench for the lids, which I also have. I bought these to replace the narrow neck Better Bottles I used for years. If the plastic was as thick as the 6 gallon versions, this would easily get 5 stars. I like these Fermonsters because I can get my hand inside to clean it. Ordering and delivery from MoreBeer were quick and easy. 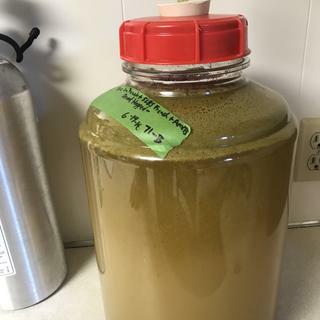 I have a couple 5-gal Fermonsters that I used to make hard cider. This time I bought a couple 3-gal (and a 1-gal one) to make mead. The only down side, if you want to call it that, is it takes a lot of honey to make a 3-gal batch of mead. But my bees have been busy, the yeast is now busy in the Fermonsters, and soon I will be busy sipping the results. This is a great size for doing batches of wine and mead. The wide mouth makes dealing with fruit in bags easy. Using all the different size Fermonster carboys are great way to brew and make wine. Lighter, safer, easy to clean and cost less than glass. 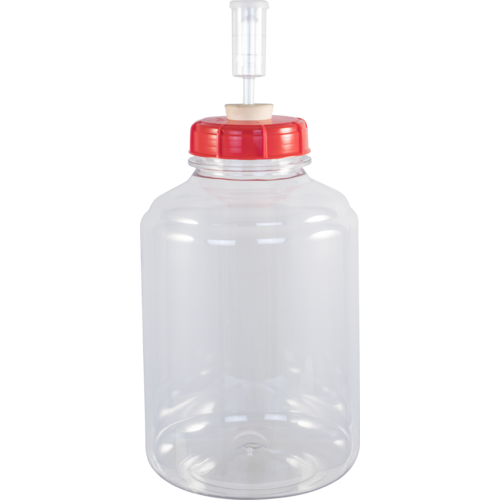 The lids are interchangeable between carboy sizes too. Light weight and easy to clean need I say more!! !